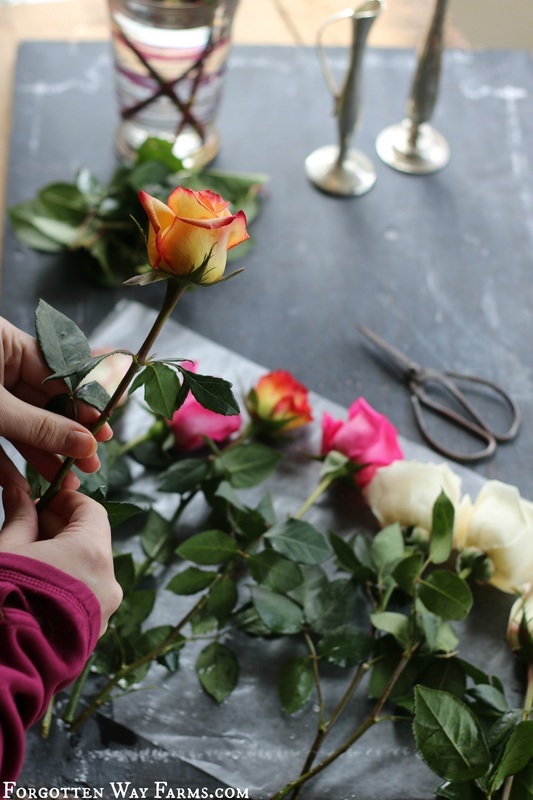 Here are few simple tips to keep your cut flowers fresh! I love flowers all year long, but during the winter months, they are like sunshine on a cloudy day. During the summer months, I grow my own lovely bouquets. When comes the winter months, I buy what’s on sale. I usually spend around five to six dollars on a bouquet per payday, and it’s worth every penny. 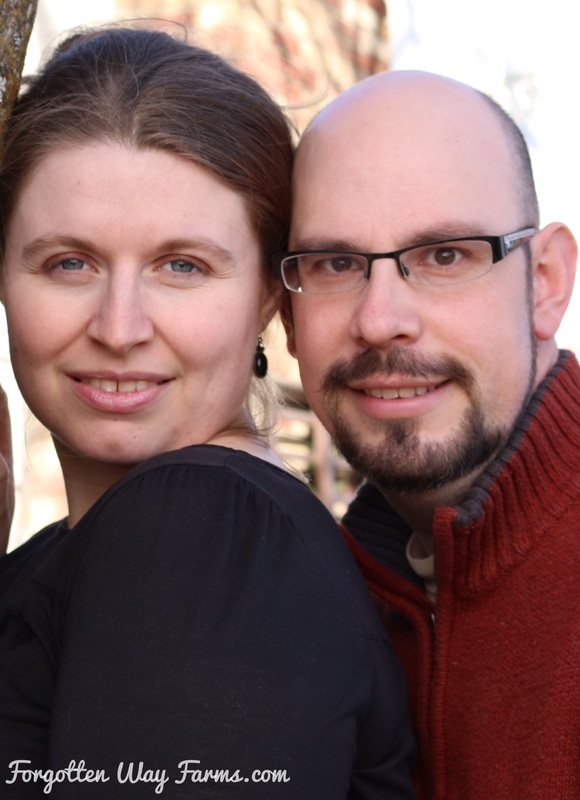 My husband and I have never really been into the whole commercial holiday thing. We like to do special things for each other all year long. So, I was really surprised when Daniel brought me a Valentine’s bouquet home yesterday. He couldn’t resist getting me a bouquet of roses that boasted a range of so many colors, and he knows how I love lots of color. I was pretty giddy because I was craving some flowers. It’s funny, how flowers make you happy when you see them, I find myself looking at them off and on all day. 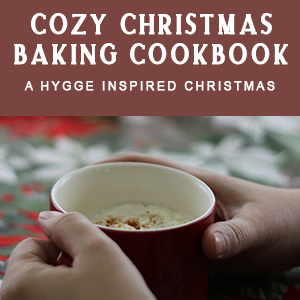 If you are craving some chocolate in your life, try my GRANNY’S COCOA CREAM PIE! 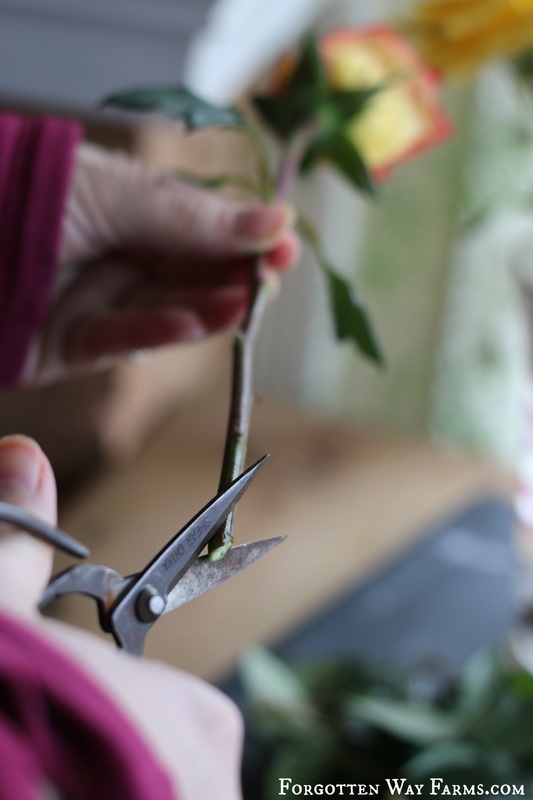 So, how do you keep cut flowers fresh and long lasting? 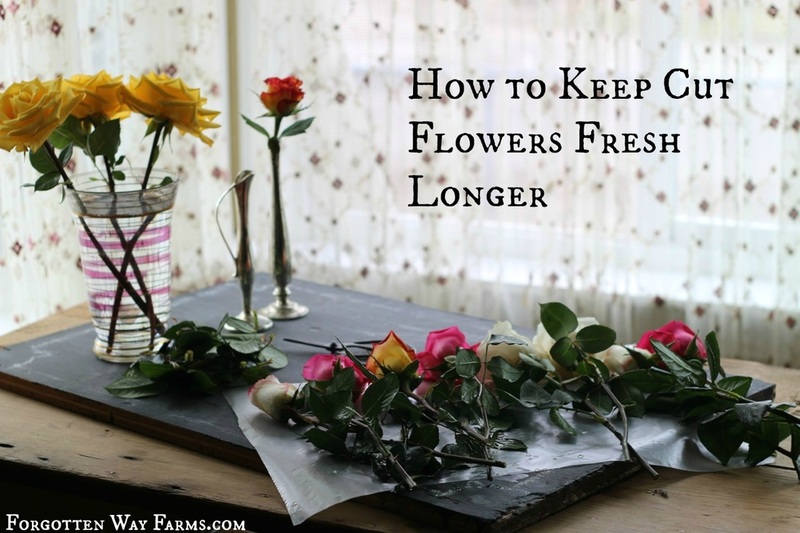 Over the years, I have found a few ways to keep cut flowers fresh longer. These are my favorite pruning shears for cutting flowers. Wash your vase in hot soapy water and make sure it’s clean, this keeps the bacteria down. 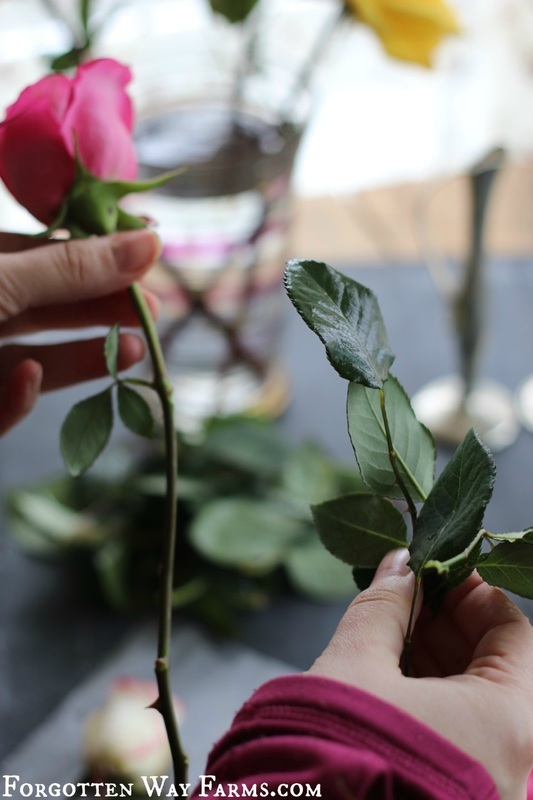 Cut the bottoms of your stems at an angle. Place in cool, fresh filtered water. Flush the vase with fresh water daily. 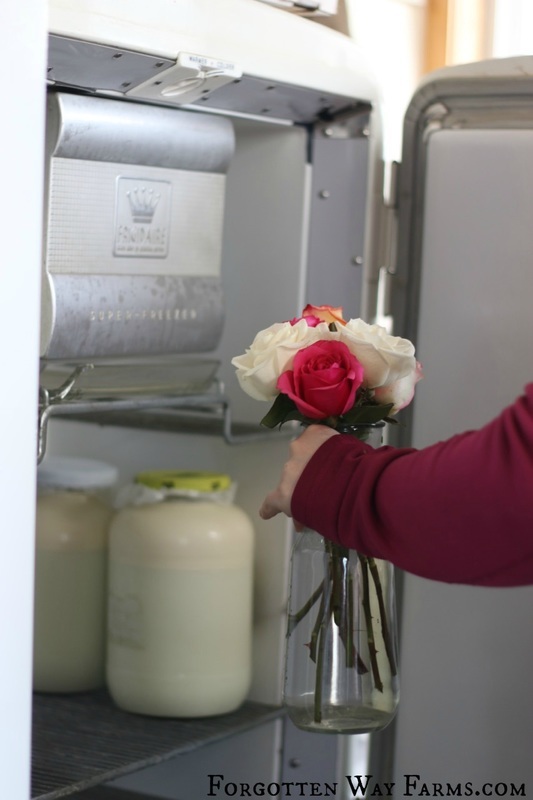 This is my biggest and best tip, put those beautiful flowers in a cold room, or fridge every night. They last so much longer this way. 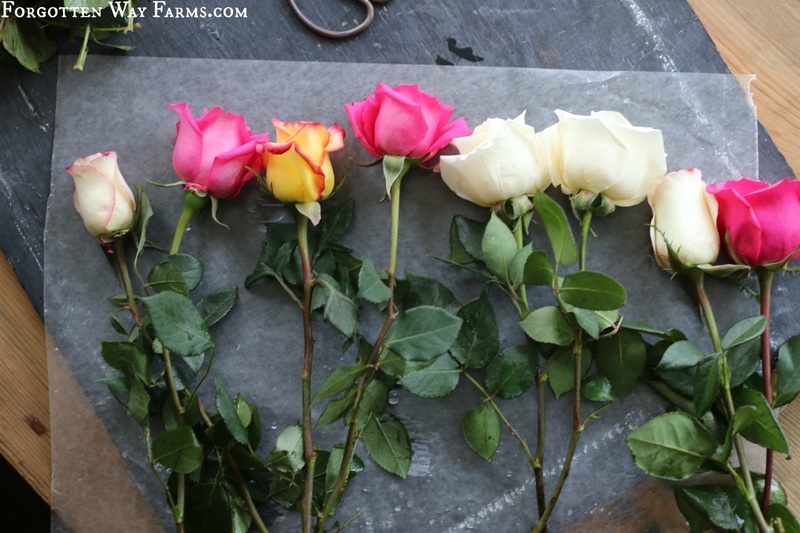 Do you have any tips for making your flowers last longer?